West coast shopping in Barbados offers a boutique, chic and cultural shopping experience all in one. From shopping complexes with premium designer brands, to duty free bargains, farmers’ markets, and quaint chattel houses selling local arts and crafts, the west coast (or ‘gold’ coast as it is also known) provides a variety of options for any shopaholic! The best place to start is in Holetown, home to some of the best high-end shopping on the island. Located right in the heart of Holetown, Limegrove Lifestyle Centre provides shoppers the opportunity to purchase some of the world’s leading luxury brands, as well as offers leisure and entertainment facilities like restaurants, cafés, bars, a cinema, art gallery, and spa, just to name a few. As a result, Limegrove is fast becoming one of the best shopping and lifestyle destinations on the island. Limegrove features international designer brands at duty free prices that will tempt any discerning shopper. Some of the brands available at Limegrove include Louis Vuitton, Gucci, Cartier, Hugo Boss, Ralph Lauren, Armani Exchange, Breitling, Burberry, Michael Kors, Longchamp, Montblanc, Chopard, MAC cosmetics, and Apple. 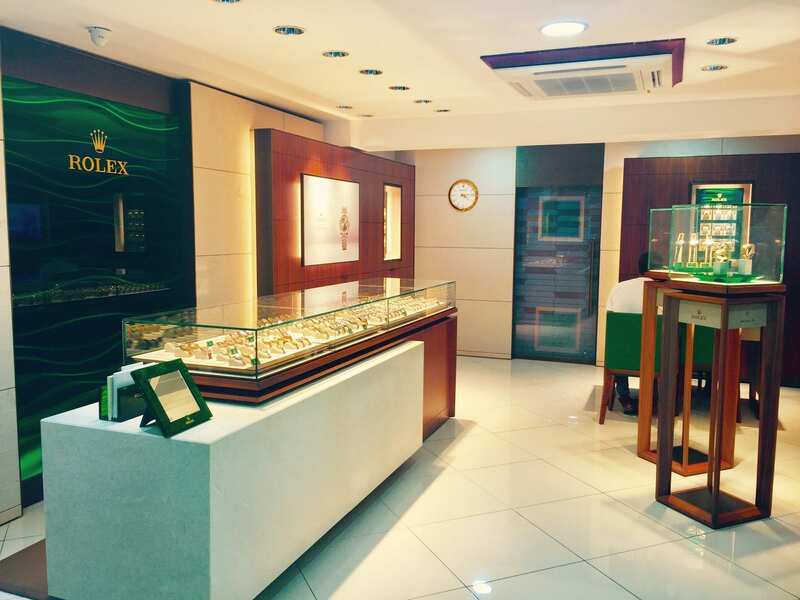 For fine jewellery and designer watches shop at discounted duty free prices at Colombian Emeralds International. CEI provides tax free and duty free items with Global Customer Service and 30-day Insurance Plan. Limegrove also houses top quality jewelers like Diamonds International – the world’s largest Duty Free jeweler. Shop the finest in couture designers, elegant timepieces, and one of a kind jewelry at Diamonds International Barbados.Visit our exclusive Cartier Boutique & Breitling Boutique located at Limegrove Lifestyle Centre. Built around three distinct and stylish courtyards, Limegrove is a hub of activity for anyone with high-end taste. There’s also free Wi-Fi throughout the complex for those keen to stay connected. Limegrove also plays host to a regular events program which includes art shows, culinary events, live entertainment, and cultural displays. Check out What’s Happening in Barbados for more information. Right in the heart of Holetown, Limegrove Lifestyle Centre has emerged as Barbados’ most exciting shopping and lifestyle destination. The must-see Barbados west Coast location offers the best in Art, Beauty, Fashion, Film and Food on the island. With three main hubs of activity – the Caribbean, Palm and Water Courtyards – Limegrove is home to many of the world’s leading retail brands. It also presents a range of dining and bar choices, including eateries, takeout establishments and retailers of specialty foods. Visitors can enjoy duty-free shopping in Barbados at this 85,000 sq. ft. attraction. Monday to Saturday: 10 a.m . to 7 p.m.
Also located in Holetown, West Coast Mall houses an excellent range of tax free stores, duty free stores and boutiques including Totally Barbados’ recommended luxury jewellers Diamonds International and Little Switzerland. There’s also banking services, a coffee shop and art gallery, a Massy supermarket, children’s wear, swimwear, local crafts, and a Cave Shepherd store with duty free clothing, perfume and Bajan souvenirs to purchase. There are also stalls dotted around the building selling unique clothes and jewellery. And, there’s ample free parking, both outside the mall and behind the supermarket. In the midst of life’s chaos, with jobs to do, homes to run and kids to ferry about, many Barbadian women rely on a simple safety valve to keep the pressure down – a girly shopping day at Barbados’ Chattel Village. Holetown’s Chattel Village is another ‘must do’ on every west coast shopper’s list. This colourful shopping village is made up of traditional chattel houses which have been transformed into shopping boutiques. Here, you will find an interesting mix of holiday apparel and fashions, gourmet food, handcrafted jewellery, and local souvenirs. In fact, it is also home to one of the best places to get authentic souvenirs in Barbados – Best of Barbados Gift Shops. Best of Barbados is a family-owned business, who have been making and designing top quality local gifts and handicrafts on the island for over 40 years. Here, you’ll find a large variety of Bajan-made souvenirs, ranging from prints and designs by the company’s founder (artist Jill Walker) and her family, to jewellery, art, paintings, cookbooks, beach bags, towels, T-shirts, music and DVDs. And, if you need a break from all of that shopping, the Chattel House Village is also home to a café with a leafy and quiet courtyard where you can relax and sample some of their delicious sandwiches and cakes. Whether it’s gourmet food, precious hand crafted jewellery, a new dress or simply some window shopping that you are after, a couple of hours at Barbados’ Chattel Village renews the spirits and lifts the soul – leaving one buoyed up for the next round in the daily battle. Another Holetown shopping destination, this mall houses Colombian Emeralds International and Cave Shepherd‘s main west coast store, stocking an impressive range of duty free items including designer clothing and swimwear, perfume, bags, cosmetics and souvenirs. There’s also banking facilities, a travel agent, clothing and gift shops, and even a Coffee Bean outlet where you can rest and rejuvenate after a hard day’s shopping. Also, right in the heart of Holetown, this quaint courtyard offers a great array of designer clothing and footwear, as well as unique jewellery and watches. It also houses Café Indigo, serving good value dishes from pizzas, paninis, garden fresh salads and homemade pies. Held in the grounds of the historic Holder’s House, Holder’s Farmers’ Market is a treat for those shoppers seeking 100% Bajan produce. Every Sunday from 9am, you can pick up a variety of fresh local produce like fruit, vegetables, and herbs. There’s also takeaway food, coffee, juices and smoothies, plants, cheeses, honey, arts and crafts; even live music! The market also plays host to various events throughout the year so be sure to check their website for more information. This particular market also offers an ‘on request’ shuttle service from the Paynes Bay, Esso gas station. The Janice Sylvia Brock Art Gallery is a short climb up Seaview Road from Holetown. The walls are adorned by bright, bold, yet romantic paintings that capture Barbados and its vibrant, colourful culture. Further north of Holetown, but still along the west coast, is Barbados’second largest town, Speightstown. This is another pretty and historic shopping area but enjoys a more relaxed and slower pace than Holetown or Bridgetown. Queen Street is the main road that runs through the town with shops and malls, banking facilities, museums and various eateries. You’ll also find street vendors lining the street selling fresh local fruits and vegetables. Some duty free shopping is also available in Speightstown, and there are branches of department stores, pharmacies, hardware stores and gift shops in this area too. The Town Square Mall, opposite Jordan’s Supermarket, offers shoppers boutique clothing, shoes, unique handcrafted jewellery, souvenirs, books, a health store, haircare and skincare, and a cute café to stop and watch the world go by. Speightstown is also home to the largest fine art gallery in the Caribbean, the Gallery of Caribbean Art. The Gallery has an impressive selection of Barbadian and Caribbean art, a great exhibition space, and wide collection of art pieces for purchase. Barbados has a vibrant arts scene and there are various galleries, potteries and studios all over the island, especially on the west coast, that we have not listed here. See our Art and Craft Guide for more information.